Did your doctor tell you that you need to undergo an MRI? If you’ve never had one of these scans performed, you probably have a lot of questions. The orthopedic experts at Tahoe Fracture & Orthopedic Medical Clinic — a full-service practice with various locations, including one in Gardnerville, Nevada — are here to provide you with some answers. If you’ve been told that you need an MRI, you might be wondering what that is and what it’s used for. 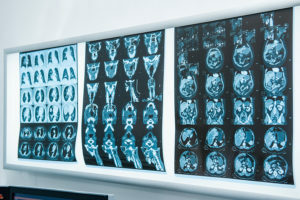 An MRI (short for, “magnetic resonance imaging”) scan uses radio waves and a magnetic field to produce detailed images of bones, organs, and other bodily tissues. The images are then used to diagnose a condition. Doctors often recommend that patients undergo MRIs, as opposed to X-rays, because MRIs generate better images of soft tissues and don’t require that patients be exposed to ionizing radiation. What’s the Difference Between a Traditional MRI and an Open MRI? Tahoe Fracture & Orthopedic Medical Clinic is pleased to make open MRI technology available to patients in the Gardnerville, NV, area. During a traditional MRI, patients remain enclosed in a tube-like apparatus for a relatively extended period of time. An open MRI machine, on the other hand, allows patients to undergo the scan while positioned on a wide, rotating table. What Are the Advantages Offered by Open MRIs? A traditional MRI can be a difficult experience for some patients, particularly children and those with claustrophobic tendencies. Because patients have to stay within the tube, they’re not able to see loved ones or hold onto their hands. An open MRI often creates a more calming atmosphere because patients are able to view their surroundings during the scan. Open MRIs can also accommodate more patients, such as patients with particularly wide shoulders, and they often produce better images than traditional MRIs, depending on the location of the injury within the body. If you’re in the Gardnerville, NV, area and you’d like to learn more about the advantages offered by open MRIs over traditional MRI technology, please contact Tahoe Fracture & Orthopedic Medical Clinic today.